The free web app Color Hunt is a user-curated resource, offering the best color palettes voted on by users. These palettes are also created by users and the site is primarily run as a free resource for designers. You can vote on your favorites using the small heart icon in the bottom-left corner of each palette. 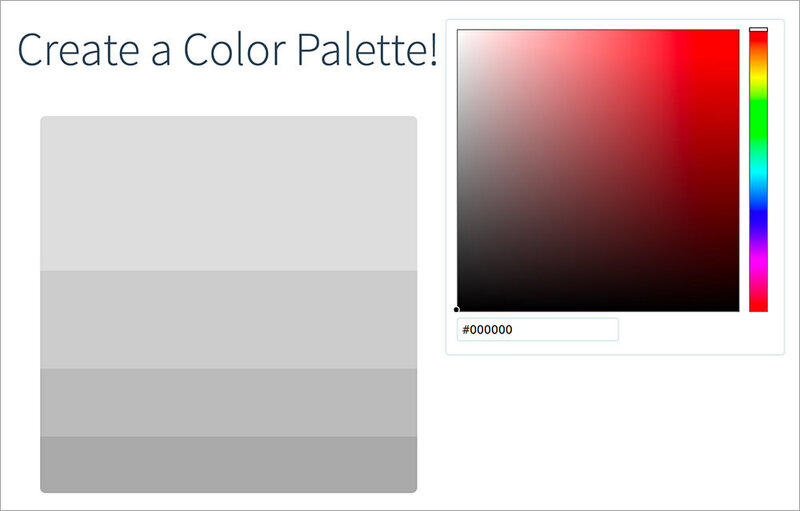 Voting can be done without an account and you can submit your own color palettes, too. Making your own palette is super simple and doesn’t require any signup. From the home page, find the three-bar hamburger menu and open it. Inside, you’ll find a link labeled “Create”. From the Create page, you’ll get a totally blank slate where you can make any color palette you wish. The color palettes get listed on the home page where visitors can vote on their favorites. Over time, the best ones form the top color palettes ranking with 1k+ votes. 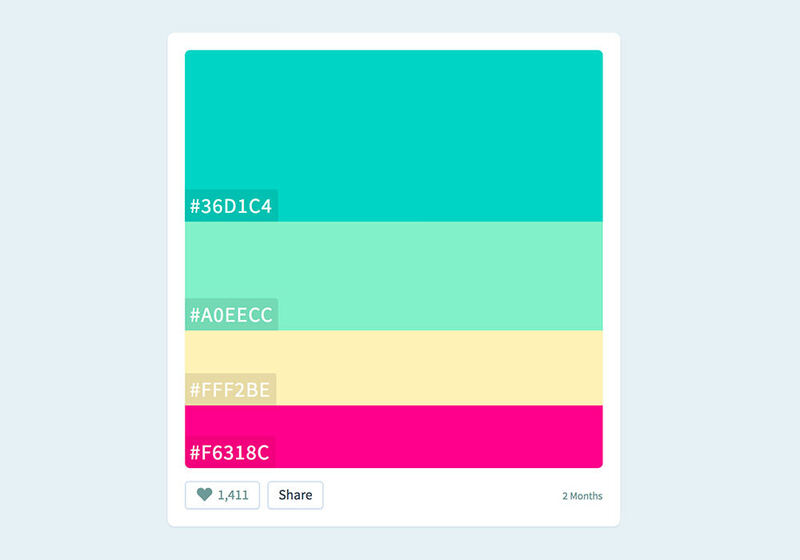 Every color palette has its own unique URL, so you can bookmark it for later or share it on social sites. Color Hunt curates the best color palettes organized by user votes and you have free reign to keep browsing and save whatever you like. When hovering any of the palettes, you’ll get a small HEX code in the corner, that you can copy/paste directly into your software of choice. And, you can browse color palettes by novelty, popularity, and also at random. Believe it or not, this tool even has a Chrome extension, so you can browse color palettes right from your web browser. This is absolutely the coolest color palette tool I’ve ever seen on the web. It’s all user-curated and maintained by its creator, Gal Shir. Every so often Gal shares new blog posts on color palette techniques, design trends, and the hottest color palettes based on photos or related features. If you’re looking for color palettes and want a bite-size resource to consume, then Color Hunt is the place to be. I haven’t found a way to search palettes based on related colors but I’m hoping to see this feature in due time.